The ALS Association receives support from a North Carolina patient access company, TrialCard. As part of TrialCard’s commitment to raising awareness for the life-altering disease, it will partner with local ALS Association team, Team Chris Combs. MORRISVILLE, NC, April 14, 2018 /24-7PressRelease/ — Each year, employees at TrialCard—a NC-based patient services company—support a philanthropic organization of their choice. The company’s only requirements in choosing the organization are that there’s a personal connection to an employee, as well as a local event to rally behind. This year, the chosen organization was the ALS Association. “Our hope is that together, we can spare families the hardship and struggle that accompany this disease, and bring greater awareness to the local community,” said Mark Bouck, TrialCard President, and CEO. As part of TrialCard’s commitment to raising awareness and funding research for the life-altering disease, it will also be supporting the local NC team, Team Chris Combs. Team Chris Combs’ mission is to raise awareness, connect with the ALS community, and aid in funding research to find a cure for ALS. TrialCard and Team Chris Combs will participate in the ALS Triangle Walk on Saturday, April 21, and come together in the Fall at the team’s 3rd Annual Hope Gala on September 28th. TrialCard Incorporated provides product access, medication adherence, and patient support services on behalf of pharmaceutical manufacturers. Founded in 2000, TrialCard has become the largest provider of patient access programs in the industry, connecting patients with over $1.7 billion in annualized branded drug savings. TrialCard holds nine U.S. patents related to the processing and marketing of patient access programs. The company is headquartered in Morrisville, North Carolina. For more information about TrialCard, please visit trialcard.com. 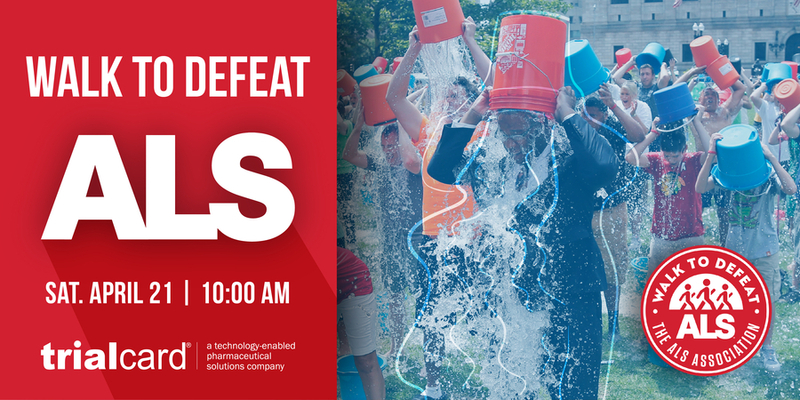 Team Chris Combs has partnered with Project ALS to fund ALS drug testing at Columbia University and Massachusetts General Hospital/Harvard Medical School. With the help of Team Chris Combs, Project ALS Pre-Clinical Core at Columbia is currently testing four drugs, including an all-new anti-inflammatory, and an FDA-approved cancer drug. 1. What is ALS. Project ALS website. http://www.projectals.org/what-is-als. Accessed March 25, 2018.